Estimation of genetic diversity and relative relatedness in breeding materials is critical for improving breeding efficiency. 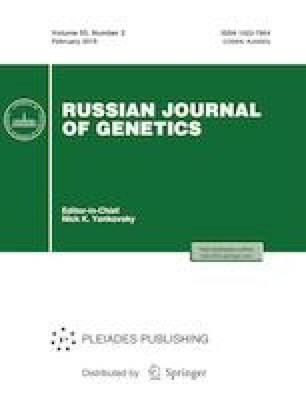 To compare the ability of single nucleotide polymorphism (SNP) and insertion-deletion (InDel) markers for characterizing cultivated tomato germplasm, 120 SNPs and 109 InDels were used to genotype 191 tomato inbred lines representing cherry tomato, traditional varieties, and contemporary lines. The results showed that SNPs provided more information on genetic diversity than the InDels. The expected heterozygosity (He) of SNPs and InDels averaged 0.384 and 0.265, respectively, and the polymorphic information content (PIC) of these two markers was 0.302 and 0.221, respectively. Except for the cherry tomato group, the traditional group showed higher He and PIC for the SNP data, and the contemporary group had the higher InDel diversity. Population structure analysis revealed that the traditional varieties constituted distinct subpopulations relative to the contemporary lines with both marker systems, and three subpopulations were found within the traditional group with SNPs. Additionally, SNPs provided more resolution in discriminating the closely related tomato lines, and InDels may be more effective at resolving genotypes from an inter-gene pool. A lower correlation (R = 0.4155) was found between SNPs and InDels based on the genetic distances among accessions. The present study systematically compares the performance of SNP and InDel markers for population genetics analysis in cultivated tomato. These results contribute to the choice of molecular marker type for analysis of genetic diversity and other genetic studies in tomato. Supplementary material is available for this article at https://doi.org/10.1134/S1022795419020182 and is accessible for authorized users. This work was supported by the National Key R&D Program of China (2017YFD0101902).